Point2 Homes gives you far more than a simple list of houses for sale. Get instant access to a lot of relevant information about Downsview, Toronto, ON real estate, including property descriptions, virtual tours, maps and photos. The search results pages also have a wealth of information on Downsview, Toronto, ON, if you scroll all the way down. 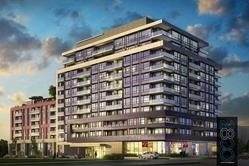 There are 72 houses for sale in Downsview, Toronto, ON. Searching homes for sale in Downsview, Toronto, ON has never been more convenient. With Point2 Homes, you can easily browse through Downsview, Toronto, ON single family homes for sale, townhomes, condos and commercial properties, and quickly get a general perspective of the real estate prices. Also, you’ll never miss a bargain if you filter listings based on house price drops in the past six months. 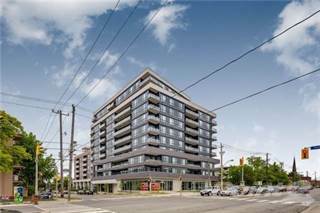 Use the map view to find Downsview, Toronto, ON homes and apartments for sale, based on amenities or city features that you may want close by. You can close in on a specific neighbourhood or area by simply drawing around them with the polygon or radius tools. Stay informed about the latest entries on the real estate market by saving your searches. This way, you get new listings in your inbox, daily or every week, based on your preferences. If you’d like to get in touch with a professional, agents are displayed next to their listings, and they’re easy to contact through the online forms. If you want more options, you can click the Tools tab and Find an Agent, and you’ll get a list of helpful and knowledgeable real estate agents in Downsview, Toronto, ON. Visit the Point2 Homes blog and you can find up to date expert advice on many markets throughout Canada, regular market reports, neighbourhood scoops in cities throughout the provinces, real estate deals and useful recommendations. Downsview is a large neighbourhood in the northern part of Toronto, Ontario. Originally part of North York, this neighbourhood has close ties to the military in Canada. The Downsview Airport was a military base for many years. Downsview contains a mixture of residential, industrial and commercial land. Some of the larger industrial facilities in Toronto are located in outlying neighbourhoods where open space is more ample and affordable, and Downsview is no exception. One infamous industrial property in the area is the Sunrise Propane Industrial Gases propane plant, which was the site of a large explosion in 2008. Downsview is located between the 401 and Sheppard Avenue. The West and East boundaries are roughly marked by Highway 400 and Dufferin Street. Downsview is such a large neighbourhood that it is very hard to define the atmosphere in the neighbourhood as a whole. The feel of the neighbourhood largely depends on where you are. Near the industrial complexes, there is also an abundance of housing that is occupied by many of the same people who work nearby. On the other hand, the land South of York University feels more like a traditional student-neighbourhood. The atmosphere within Downsview can change from block to block. Although it is far away from the centre of Toronto, Downsview has also been the home to some major events in the history of the city. Downsview Park has been the site of huge events that have attracted thousands of people. The park is actually owned by the federal government, and has hosted events such as visits from Pope John Paul II and the Molson Canadian Rocks for Toronto concert. Downsview Park itself has been the sight of some of the largest entertainment events in Toronto. International events and major concerts have often been hosted here. The park is also home to a number of facilities for the locals to enjoy. The Downsview Park Sports Centre is home to a basketball facility, climbing walls, a circus school and more. For something a little different, GPK (Grand Prix Kartways) offers a go-cart track also located within the park. Along Wilson Avenue, a number of dining options include familiar chains and local delicacies. Pho Mi Asia is an excellent pho restaurant, while La Rosa Chilena provides a Chilean dining experience. Chop Chop Wok combines traditional Asian cooking with a modern dining experience. At the same time, familiar favourites like Swiss Chalet are available for those who prefer proven standbys. West of Jane Street is the Oakdale Golf & Country Club. This 27 hold private club is one of the most elite in the city, with one of the highest membership fees, but the elite status of being a member is well respected in certain circles. Downsview is also home to one of the two Mystery Rooms in Toronto. This facility provides real life “room escape” games, where you’re placed into a closed environment and must find a way to escape using the available resources and clues in the room. Downsivew is so large that it is filled with almost every type of real estate. Along the main thoroughfares, there is a mixture of condos and rental apartments. More people live in detached homes than any other type of housing in the neighbourhood. The houses vary greatly in style depending on which type of the neighbourhood you are in. In some parts of Downsview, the homes are getting quiet run down. However, in other parts, some of the old houses are being torn down and replaced with new buildings that are helping revitalize portions of the neighbourhood. 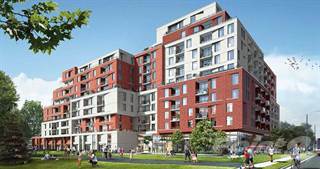 Downsview is one of the more affordable neighbourhoods in the city. Any of the neighbourhoods bordered by the major highways have to deal with noise issues. With the 401 and the 400 affecting the neighbourhood, much of Downsview is quite noisy. Parts of the business district along Wilson are quite run down and dirty. Downsview struggles with a few issues when it comes to crime. The neighbourhood is ranked in the top 30 for the most assaults in Toronto, according to this 2011 crime map. It is also in the top 10 for sexual assaults, break and enters, drug charges, and stolen vehicles. As one of the larger neighbourhoods in the GTA, Downsview is home to many schools. The Calico Public School, Beverly Heights Middle School, Tumpane Public School, and Downsview Secondary School provide ample public options. There are also the Catholic schools, Saint Martha and Saint Gerard Majella for parents who prefer to have their children educated in that faith. Downsview will eventually be the site of the second Africentric high school program in Toronto, according to the Toronto Star. The program will teach core subjects, but with an African centered perspective. Downsview is a neighbourhood that is well suited to families in a number of ways. The availability of recreational facilities and the schools in the neighbourhood provide the amenities that families need. The majority of families in Downsview have children living at home. Downsview Station is the farthest North point on the University and Spadina subway line. Because they have a station in their neighbourhood, people living in Downsview benefit from better access to the rest of the public transit system than those living further west in the city north part of Toronto. Buses also run through the area and connect to Toronto, and up to the northern suburbs. In 2016, public transit here will improve with the opening of the new Downsview Park TTC and GO Transit station.